Did I only imagine a plaintive look on sister nuthatch's face? 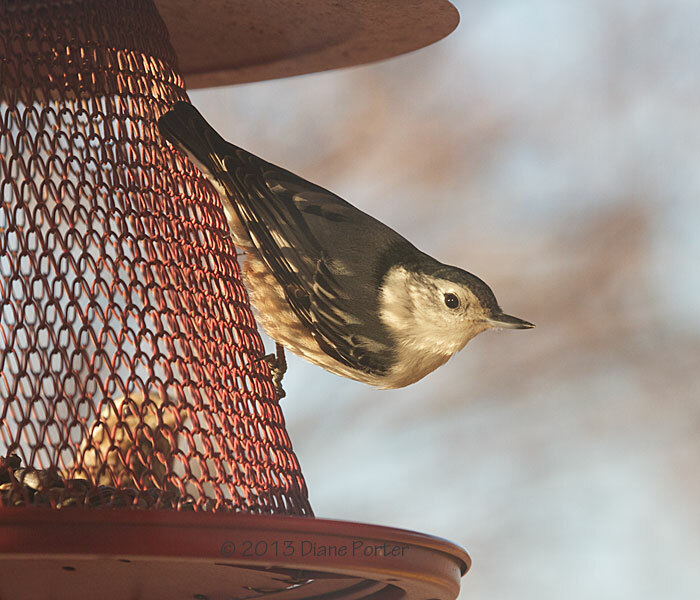 Anyway, I bustled right out and replenished the feeders this chilly 11-degree morning. It's called the No No Feeder, because it says NO to squirrels, who can't get at the seeds through the all-metal feeder. 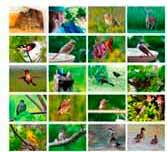 But it says YES to welcome birds like nuthatches (photo at left), chickadees, and titmice. 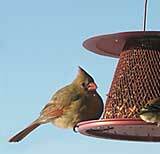 It's the only mesh feeder we have that cardinals like. It gives them a wide enough platform to stand and eat straight ahead, without turning their pretty necks.